The AQ2160-01 hand-held optical power meter is designed for installation and maintenance of fiber optic LANs and home networks, as well as for general purpose optical measurements. 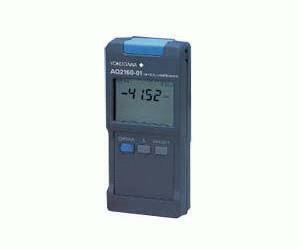 With its hand-held size and weight of approximately 270 g, the AQ2160-01 can be used anywhere. A convenient neck-strap and back light are also available.